Drink with Me and Rodney Strong! 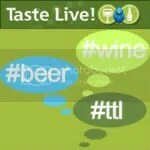 Last week I participated in a Twitter Taste Live Event with Rodney Strong featuring holiday wines. On Dec. 6 we are repeating the experience and hoping that some of our readers will join us live and taste along! For all the details, go here and I hope to see you on the 6th!